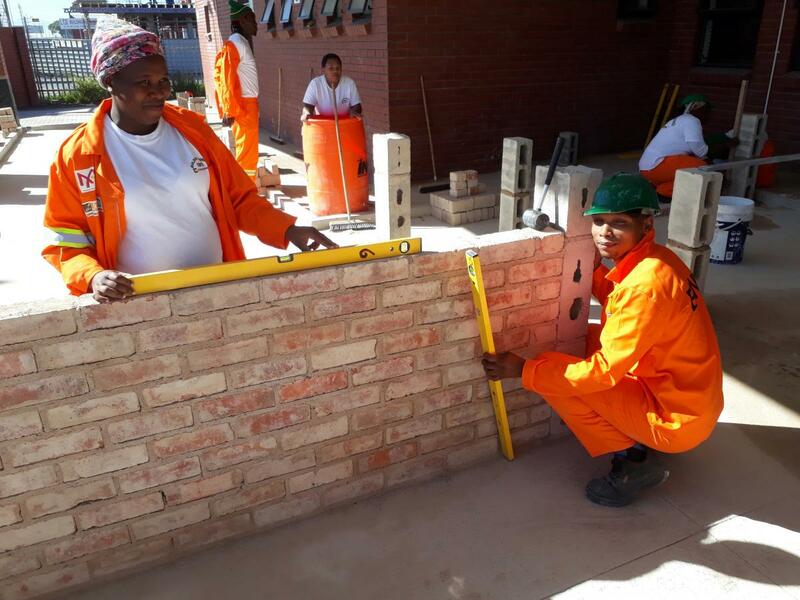 A mutually beneficial partnership between Corobrik and the Department of Public Works will result in the upskilling of 30 Western Cape residents, improving their future employment opportunities through practical and theoretical bricklayer training. As part of its Youth Programme the Department of Public Works has funded the training of 15 people in the Cape Metro at Corobrik’s Lansdowne Training Centre and 15 people in the Grabouw region, taking place at the Groenberg Secondary School. The 10-month training programme, which started in February, involves five months of theoretical training followed by six-months of on-site practical experience taking place at the training venues and then at various sites within the Western Cape for more thorough work-based training. This is an NQF-based, CETA-approved learnership consisting of 20 unit standards at level 3, giving the qualified candidates 146 credits. In addition to bricklaying – including face bricklaying – skills, the learners are also empowered with life skills and First Aid. The specific learnership for the Department of Public Works consists of eight core unit standards and eight fundamental unit standards, as well as the practical units. Ensuring the highest quality of training, all Corobrik trainers are qualified artisans and assessors, accredited with a Construction CETA. Headed by Ismail Rothman, Corobrik Building Training Coordinator in the Western Cape, each learner is thoroughly evaluated through classroom assessments as well as internal moderation of learners’ portfolios of evidence. Further checks are performed by an external moderator, after which the application for certification begins. On successful completion of the course, all learners are issued with a Certificate of Attendance from Corobrik as well as the CETA certificate.